A good Professional Poster Designing can play a crucial role in consolidating the position of an organization in the brutally tough competitive market. As it is going to communicate the positive aspects of your company to the targeted customers or clients, your brochure has to be designed by a team of Professional Posters Designer. Creating a stunning and effective design takes more than just talent. It takes a thorough knowledge and understanding of the media being used. It also requires a deep understanding of the market you want to target. Being an eminent company, we are involved in rendering Modern Exhibition Stall Designing Service. We offer Designing services of various kind in Mumbai. We have expertise in this Era our experienced workforce use their experience to provide quality Designing services. current graphic design trends and concepts. Keeping your design, branding and overall marketing up to speed with what your clients/customers expect to see. In this we print many types of products, starting from a Visiting Card to A4 size brochures etc. The quality of printing comes very well in Screen Printing and even small quantities can be printed. We print Brochures, Catalogs, Flyers and Folders using this technology. 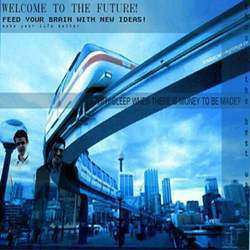 Mbo Web & Media Solutions Pvt. Ltd. has team highly skillful professionals who are actively engaged in providing Graphic Designing Services to their customers. 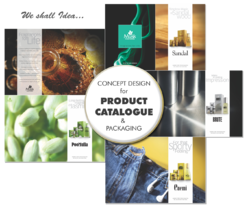 Our company has set a benchmark for representing imagination into idea in the form of Brochure; Pamphelets; Catalogs; Leaflets; and so on. Mbo Web & Media Solutions Pvt. Ltd.
“India’s Advertising industry (alone) is expected to grow at a rate of 16.8 per cent year-on-year to Rs 51, 365 crore in 2016. Our graphic design services include brochure design, packaging design, logo, pamplets and banner designing. - Concept assessment for the kitchen/restaurant/hotel setup. - Concept settlement of food to be served along with the type of service. We can often provide creative solutions to seemingly unsolvable research problems. We have our creative team designing the unique and impressive card designs for our clients.we create business cards that creat an impression on your customers . - We have marriage card designs in styles to fit nearly every preference in traditional and contemporary designs. Our designs cater to all Indian communities & cultures, be it hindu, islamic, christian or interfaith weddings. We have wedding cards from range rs. 1. 50 to rs. 110 per piece. - We are distributors of prabhat wedding cards for navi Mumbai. Global Creative Solution strategists are doors, who live to ship ideas that will impact our biggest partners, as well as hundreds of millions of people associated with them. .